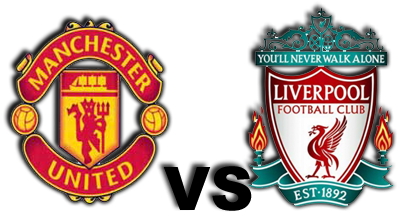 Review of 5th weeks Match Result, Manchester United Beat Liverpool 3-1, Martial scored a goal – Manchester United won 3-1 over Liverpool in the Premier League at Old Trafford Stadium, Saturday (09/12/2015). One of the three goals of the Red Devils has scored by Anthony Martial. If judging of ball possession and chances, the game between Manchester United with Liverpool is lasting balance. Based on the record of the Premier League, Manchester United controls 56 percent of the game and made two shots on goal of the five shots attempted. Meanwhile, Liverpool fired three shots on target from six attempts. Without Wayne Rooney who was missing through injury, manager Louis van Gaal put Marouane Fellaini as the spearhead of the Red Devils. Unfortunately, the appearance of tall player is not too impressive because his shot almost never endanger the opponent's defense. The only best chance of Fellaini was happening in the seventh minute, when goalkeeper Simon Mignolet did quite fatal mistake, when he was throwing the ball which has been mastered. Mignolet threw the ball, but it was cleared by Juan Mata and bounced toward Fellaini. Unfortunately, the ball execution Fellaini is too high above the goal that has not guarded well as Mignolet remained in the near of 16-meter box. The rest, the game was more struggling in the central region. MU dominated it, but they were difficult to penetrate the defense of Liverpool, so a score of 0-0 did not change until halftime. After Manchester United and Liverpool have failed to score in the first half and the score 0-0 at halftime glasses plastered. Attacks and shots on target had happened in the second half. Only in the 49th minute, the hosts broke the deadlock. It was starting from a free kick execution of Juan Mata; Daley Blind shot the ball into the top left corner of goalkeeper Simon Mignolet. Despite winning one goal, Manchester United did not reduce the intensity of the attack. In the 69th minute, Ander Herrera was violated by Joe Gomez in the box. Herrera ran as an executor and fired a hard shot to the top of the hand Mignolet. Score changed to 2-0. Liverpool did not give up. Fourteen minutes later, the fleet was commanded by Brendan Rodgers reduced the distance by scoring a beautiful goal. The goal was scored by Christian Benteke. Blind anticipated air ball with imperfectly, so Benteke had a chance to strike with a half somersault shot. Instead of an equalizer, the visitors’ team was just careless. The two of Liverpool defender was unable to stop the penetration of Anthony Martial on the right side of defense. Anthony Martial eventually directed the ball into the bottom left corner of the goal. The Anthony Martial's debut goal was closing this match. With this victory, Manchester United climbed to second position of the standings with a collection of 10 points from five matches in the 5th weeks English Premiere League. Arsenal won a similar point, but lost on goal difference. The Manchester City tops with 15 points.